1 -The "Auguste Piccard" (40+3 places), built by Jacques Piccard, at the Giovanola factory, calculated and designed by Erwin Aebersold, submarine engineer. It was built in Switzerland, by Jacques Piccard, as a tourist submarine, more particularly for the Swiss National Exhibition of 1964 (Expo 64). It takes its name in honour of Jacques Piccard's father, Prof. Auguste Piccard. 2 - The "F.-A. Forel", (3 places), built by Jacques Piccard, also conceived, calculated and designed by Erwin Aebersold. The “F.-A. Forel” was in service from 1978 to 2005. The second contribution of the "Sub-rec" to "eLemo" was to supply the position of the “wreckage of the Rhone” (1883, discovered by Sub-rec and its LEM01 robot in 1983) so that it could be visited by the divers on the inaugural dive of 14th June (and subsequently by VIPs). All in all there were 15 times 2 dives with 2 people = 60 people to have had this pleasure, or honour (without counting the pilots). They then went on to explore the old beds of the river Rhone. They took samples, and measures, made observations in the Vidy bay, near the outlet of the Step as well as in the central plain. 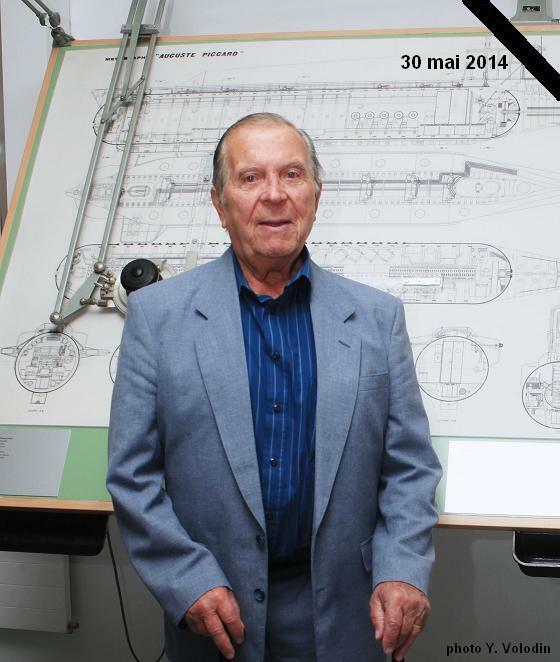 A third submarine built in Switzerland, the "Ben Franklin", also calculated and designed by Erwin Aebersold. Aebersold was also its pilot during the Gulf Stream expedition: : 30 days without surfacing! It was built at the Giovanola plant in Monthey, by Jacques Piccard for the Grummann enterprise. Its purpose was to explore and study the Gulf Stream. But it was equally of interest to NASA, who used it to study the effects of long-term trips in confined spaces, with a view to long-haul space flights.